Xiaomi Hybrid Wired Control Earphone with Mic is suitable for both cell phone and tablet PC. It is in the meticulous treatment of details, which ensures its excellent quality and high performance. Ergonomic in-ear style makes it comfortable to wear. What is more, it comes attached with 3 pairs of ear-plus featuring S, M, and L size. 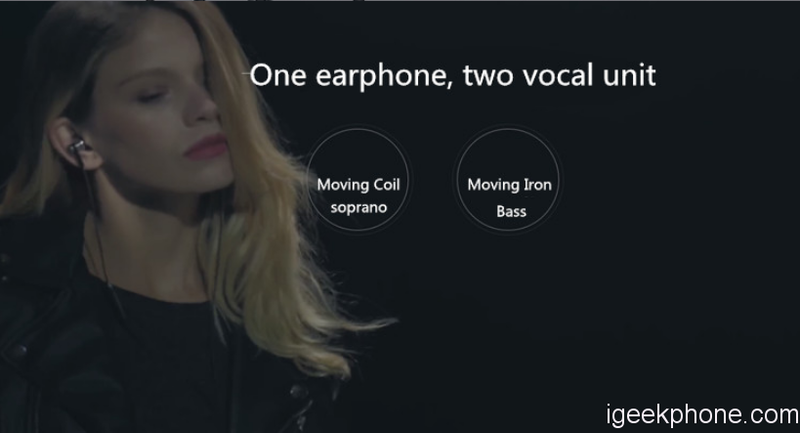 With the earphones, you will enjoy hands-free call and music at any time! Do try it now! and This S6 Earbud Neck Band Wireless Headphones provides you a feeling of quiet and comfortable listening experience. S6 gives you ultimate comfort and fit. Characterized by stylish design and advanced technology, you will be cool and trendy once wearing it. Enjoy your hands-free calls. You can have a long talk with your friends without disturbing normal action. It is so compact and portable that you can carry and use it anywhere anytime. 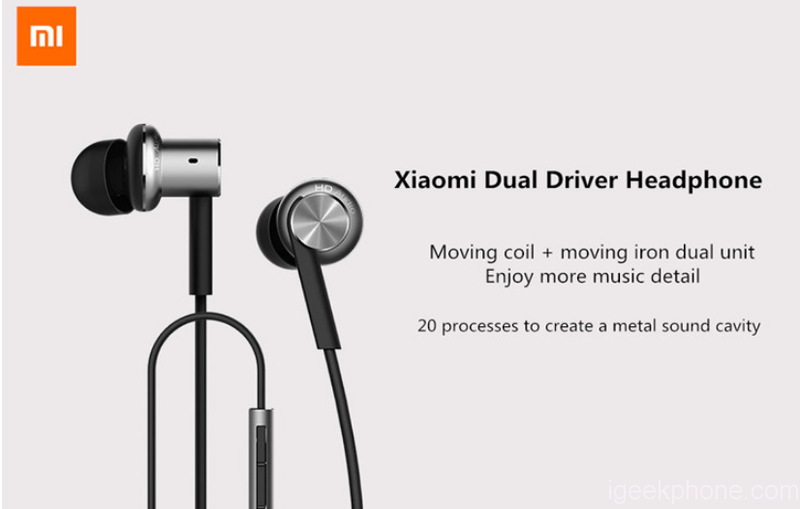 Xiaomi Hybrid Wired Control Earphone coolest adopt hybrid technology is a combination of a dynamic driver and two-way balanced-armature (BA) driver, and their relative positions to each other in the housing, allowing us to develop the smallest of three ways -earphones which offers voice reference- true quality. Balanced-armature will handle the high-frequency audio while the dynamic driver will handle low-frequency audio thus providing more 3D surround effects. Hybrid name derived from the specific configuration of the speaker inside, which provides a dynamic driver and two dual balanced armature driver.The two designs are offset from one another, the dynamic drivers of course best suited to handle the bass, while the balanced armature, which moves air to produce sound, will take care of high and medium. The microphone has a high SNR of 58dB, noise cancellation whether the show you will have a better call quality. You do not need to place the microphone close to your mouth and speak for the hard times. The microphone on the earphones is designed closer to the face. This earphone is composed of Kevlar high tensile strength synthetic fiber which is used mainly as a reinforcing agent in the manufacture of tires and other rubber products and protective gear such as helmets and vests. 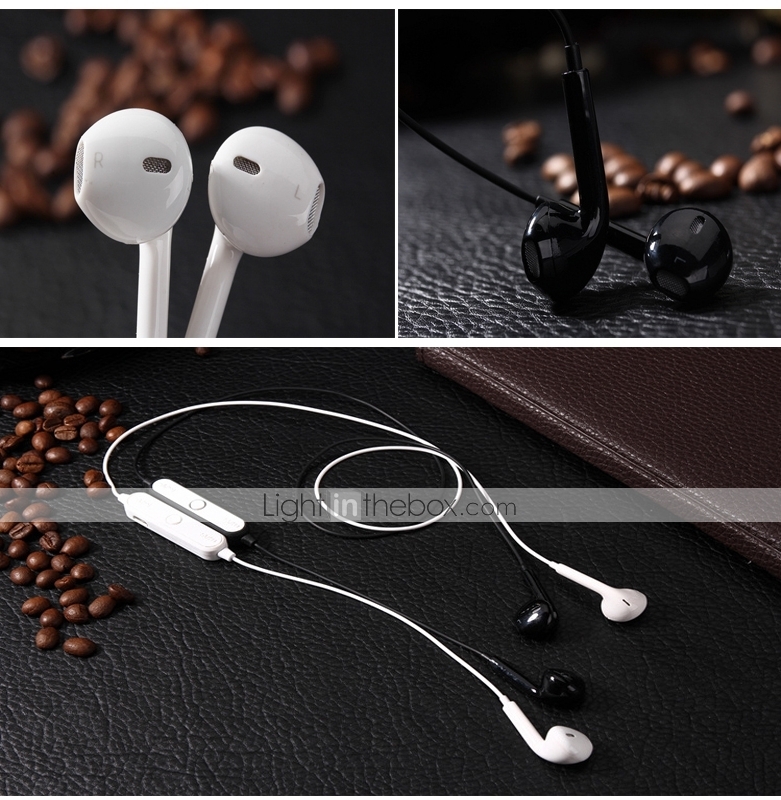 Just like other Mi Earphone, you will be provided three sizes XS, S and L ear tips. We use the soft material so your ears feel comfortable though listening for a long period. we can buy Xiaomi Hybrid Wired Control Earphone with Mic from Lightinthebox at $14.69/€12.29 in Flash Sale. S6 Earbud Neck Band Wireless Headphones provides a comfortable listening experience which is suitable when engaged in rigorous activities such as working out, running, biking and jogging. It comes with an in-ear design providing the feeling of quiet and comfort. This Bluetooth Activity Earphones is equipped with the latest in wireless earphones technology. It offers better noise isolation, superb stereo function and more range and bass for an ultimate music experience. You may also enjoy hands-free calls as this supports voice command recognition (take or reject calls by saying ‘yes’or’no’ to the Mic) so you never have to miss any important phone calls this time around. Powered by the latest version of Bluetooth technology, v4.1 and connects to virtually all Bluetooth-enabled devices in the market. It also supports multi-point pairing, can connect two phones at the same time. These trendy, lightweight and portable stereo earphones is surely an indispensable accessory for your mobile gadgets. Excellent Quality Black Portable Wireless Bluetooth 4.1 Sports Headset Stereo Earphones Earbuds In-Ear design for Bluetooth-enabled devices. With volume control and song switch function and comes in double earplugs, in-ear design, lightweight and portable, it is very convenient when driving, working out or doing sports. we can buy S6 Earbud Neck Band Wireless Headphones from Lightinthebox at $2.20/€1.84 in Flash Sale.